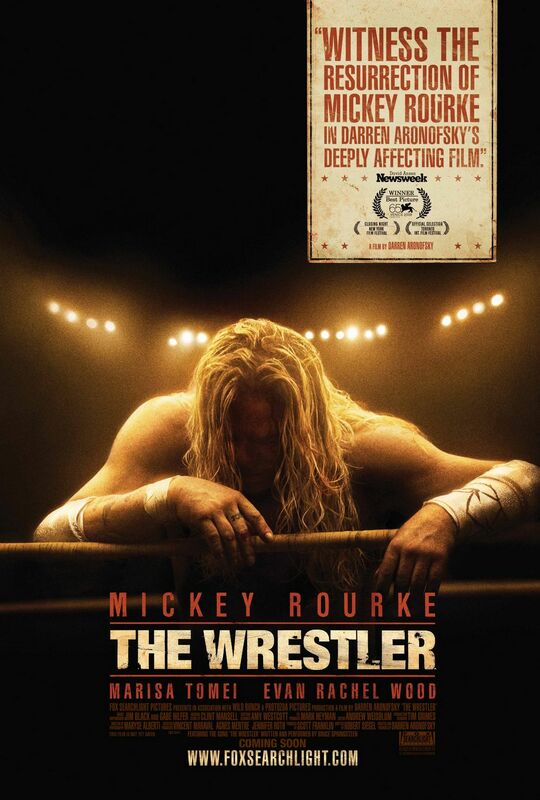 In one scene from The Wrestler, there is a response from Randy “The Ram” Robinson (Mickey Rourke) when after just having bypass surgery following a heart attack, he is told by his doctor that he must stop putting steroids into his system and can only perform mild exercise. It is as much bemusing as it is heartbreaking: “But Doc, I’m a professional wrestler!” The significance of that assertion to Randy’s story of a once great wrestling icon, now twenty years later relegated to Community Hall matches and unsatisfying signing appearances, is cemented by it being said with such conviction and pride by the actor. He is a wrestler. That is what he does. That is what he knows. Rourke embodies Ram and all his flaws in such a sincere way; the authenticity of his colossal performance raises the bar for realism.